Hemp seedlings sprout in a warehouse in Lafayette, Colo. Many Colorado growers this year have looked to the black market or underground seed bartering circles for viable hemp seed. The seed that you can find is, in some cases, being sold for $5 or $10 per seedling. The plant, while related to marijuana, has little to no THC, the psychoactive compound that gives users a high. But under federal law, the growth of hemp is tightly controlled. Still, the plant is currently undergoing a resurgence in interest after the latest farm bill granted farmers the go-ahead to get started in places where state laws have legalized cultivation. Proponents say if the legal issues are hammered out, the plant could be a boon for Great Plains farmers with international implications. Kentucky has been among the first group of states to embrace hemp’s return. The state has a rich history of hemp cultivation, and recently its Congressional leaders have pushed hard to bring it back to Kentucky fields. Research plots were meant to be planted this season in Kentucky. Without a lot of seed stocks in the U.S., Kentucky researchers ordered a 250-pound shipment of hemp seed from Italy. The DEA intercepted the shipment and it’s currently being held by U.S. Customs in Louisville, Ky. The DEA doesn’t want to release it, and on behalf of farmers and researchers, the state’s Department of Agriculture filed a lawsuit to free it. The case highlights the mixed messages the federal government is sending about hemp in the wake of the farm bill’s passage. Aspiring hemp growers tout the farm bill’s hemp definition as validation. While at the same time, the DEA still classifies hemp as a controlled substance, and tightly controls it, requiring growers to apply for a permit. No commercial permits have been issued since the Controlled Substances Act of 1970 grouped marijuana and industrial hemp as a Schedule I controlled substance. The state of Kentucky’s lawsuit could just be the beginning. Vote Hemp, the country's leading lobby group working on hemp legalization, says if the DEA refuses to release the seed they too will be filing suit. Twelve states, including California, Colorado, Indiana, Kentucky, Maine, Montana, Nebraska, North Dakota, Oregon, Utah, Vermont and West Virginia, currently have laws on the books to allow for hemp production as it’s described by the most recent farm bill, according to the National Conference of State Legislatures. An American flag made from Colorado hemp is flying over the U.S. Capitol on Independence Day, thanks to a request from Democratic Congressman Jared Polis. With recreational marijuana now legal in Colorado, small-scale pot shops will open up soon in places like Denver and Boulder. But that's not the only business that could get a boost: Large-scale commercial farmers may also be in line to benefit. Why? 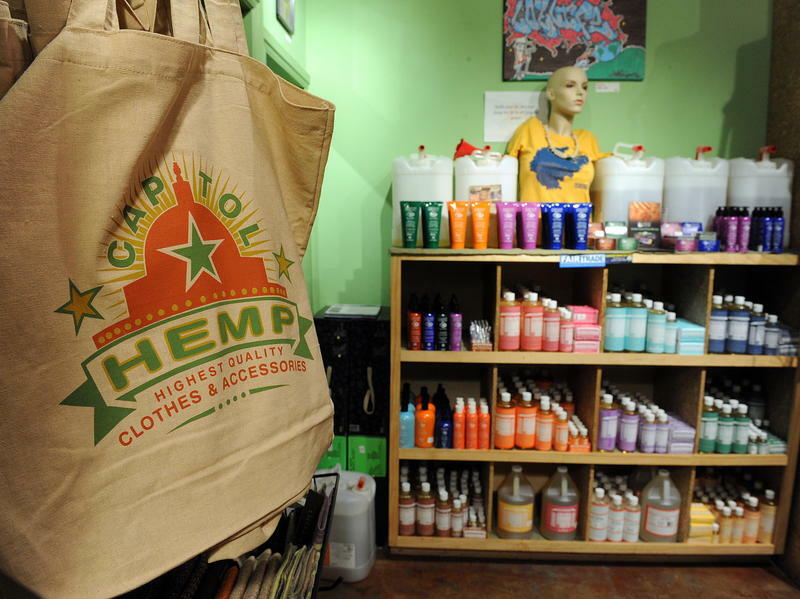 When Colorado voters legalized marijuana last November, they also legalized hemp.